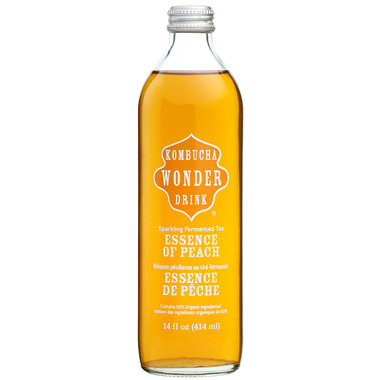 Kombucha Wonder Drink Essence of Peach is made of radiant red peach blend with organic rooibos red tea. 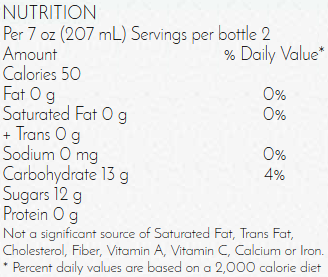 Pasteurized Kombucha Wonder Drink includes naturally occurring acids that are known to promote health and boost vitality by cleansing, detoxifying and energizing. Ingredients: Filtered Water, Organic Brewed Rooibos (Filtered Water, Organic Rooibos Leaves), Organic Kombucha (Filtered Water, Organic Cane Juice, Organic Oolong Tea Leaves, Yeast and Bacteria Cultures), Natural Peach Juice Concentrate, Natural Peach Essence, Carbonation.